Instantly downloadable sheet music by Louis Prima for choir and piano (SATB) of MEDIUM skill level. Alle Notenausgaben von Sing, Sing, Sing zum Herunterladen bei VirtualSheetMusic. Alle Noten von Louis Prima zum Herunterladen bei VirtualSheetMusic. Instantly downloadable sheet music by Oscar II Hammerstein for choir and piano (SATB) of MEDIUM skill level. 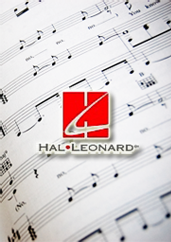 Alle Notenausgaben von The Song Is You zum Herunterladen bei VirtualSheetMusic. Instantly downloadable sheet music by Leslie Bricusse for choir and piano (SSA) of MEDIUM skill level. Instantly downloadable sheet music by Burt Bacharach for choir and piano (SATB) of MEDIUM skill level. Alle Noten von Burt Bacharach zum Herunterladen bei VirtualSheetMusic. Instantly downloadable sheet music by Jack Palmer for choir and piano (SATB) of MEDIUM skill level. Instantly downloadable sheet music by Alan Bergman for choir and piano (SAB) of MEDIUM skill level. Instantly downloadable sheet music by Greg Jasperse for choir and piano (SATB) of MEDIUM skill level. Alle Notenausgaben von NY Voicedance zum Herunterladen bei VirtualSheetMusic. Alle Noten von Greg Jasperse zum Herunterladen bei VirtualSheetMusic. Instantly downloadable sheet music by Van Alexander for choir and piano (SATB) of MEDIUM skill level.